A silver 2017 Ford GT with black racing stripes is on the front of the Mecum Auctions website as of this writing, with a “main attraction” banner across its photo. But that auction could be a breach of Ford’s customer agreement on the GT, which got pro wrestler John Cena into an ongoing Ford lawsuit last year. Mecum has this 647-horsepower GT showing seven miles on the odometer scheduled to go to auction this Saturday in Indianapolis, with its auction listing saying the car is the 48th of 250 produced in 2017. But that should raise eyebrows in more than just buyer interest, because the customer agreement Ford makes GT owners sign requires them to keep the car for 24 months before selling. It hasn’t been that long since the GTs went out. Ford wouldn’t say much about the Mecum listing, and Jalopnik is still waiting for comment from Mecum. The GT auction listing is still up as of this writing. Ford’s customer agreement on reselling the car is about as strict as the actual selection process to determine who got one, which considered a person’s past ownership of GT models and the amount of value they’d have as a Ford brand ambassador. There were only 500 cars to go around, and getting picked for one came with the expectation that it wouldn’t be sold right away. Ford went after Cena for breaking that agreement late last year, in a November lawsuit in the Michigan Eastern District Court that has yet to be closed. Cena responded to the lawsuit earlier this year with a motion to dismiss it, claiming that the agreement never blocked him from flipping his car. 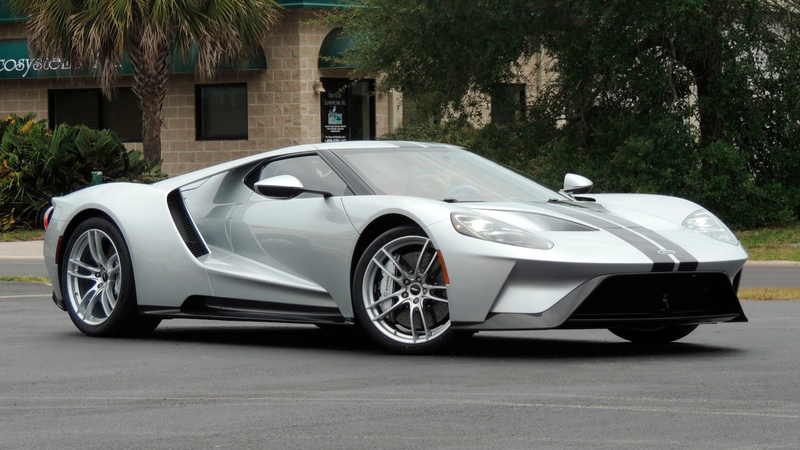 The Mecum listing doesn’t say much about the Ford GT it has for auction other than its specs, and there are no search results that say who specifically got the 48th car in 2017. But if Ford doesn’t step in and stop the GT auction before it happens this weekend, we could soon find out who that person is.